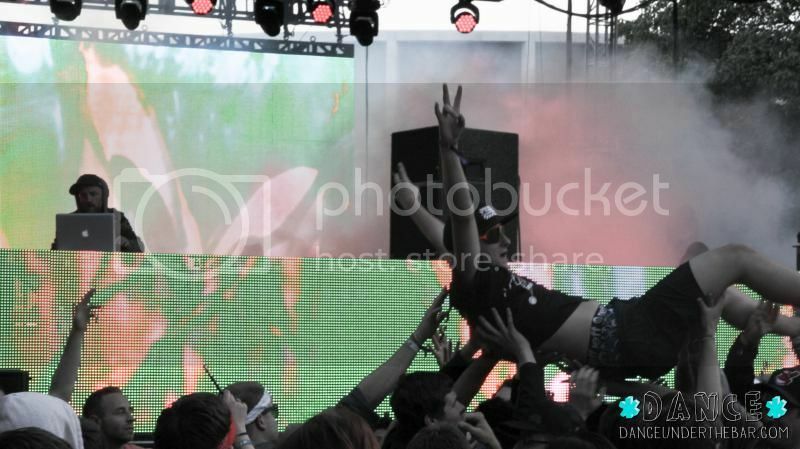 Detroit Rock City went to the Ravers this weekend! Leaving Pittsburgh at 11am with a thick crew of #yinzindetroit proprietors put us squarely in the D at 4pm. We (LongArms and I) dropped the girls (TbNix and Kymbo Slyce) off at the hotel and headed back to the jumpoff to search for warm clothes (it was 50 when we got in but dropped down to 40 before the first day was over). 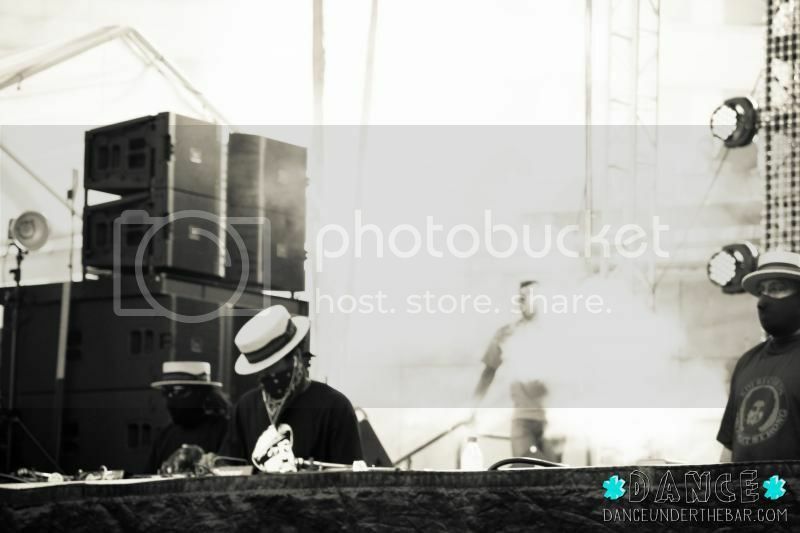 By the time we made it in to the festival Moodymann was on the main stage setting the tone for the entire festival. On stage there were three men wearing black masks and straw pork-pies. Smoke billowed behind them as Moodymann conjured the soundtrack to an Agatha Christie. The Doors; riders on the storm, Peter Frampton, and Dilla rounded out the set-list. After listening to Carl Craig for a few minutes I decided to wander towards the Electric Forest stage - basically where Paxahau put anyone that had a chance of playing any genre other than house, techno, or electro for their entire set. 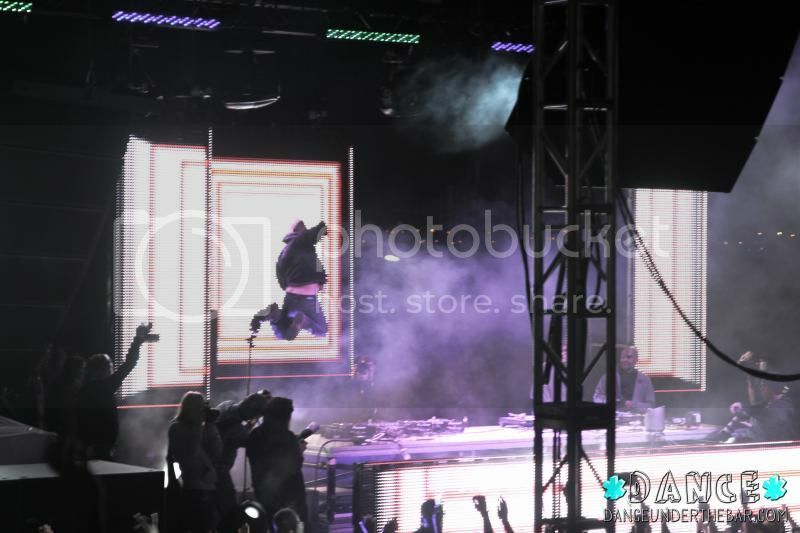 I stumbled into absolute mayhem - Downlink was playing his second to last song - a Skrillex remix, followed by an original unreleased trap tune which provided the soundtrack to his epic stage dive - the only one I saw from an artist at DEMF 2013. I had a couple good friends joining for The Bug so I stayed at electric forest. As a somewhat less trendy artist, one overheard comment from a veteran festival-goer was 'The Bug is the only artist I'm checking out at the Electric Forest stage.' With almost zero transition time (this was a common feature of the festival and organizationally this was the most together music festival I've ever witnessed) The Bug (Kevin Martin) launched immediately into a huge dancehall tune and with an MC (regrettably not live) announcing the steps the crowd came alive. CLICK READ MORE FOR THE REST OF THE DAY 1 COVERAGE - PACO OSUNA, TERRENCE PARKER, and MOBY - MORE PICS, VIDEO, AND LINK TO ALL THE CROWD PICS. Paco Osuna was an artist I was recommended to by the #yinzindetroit possey. 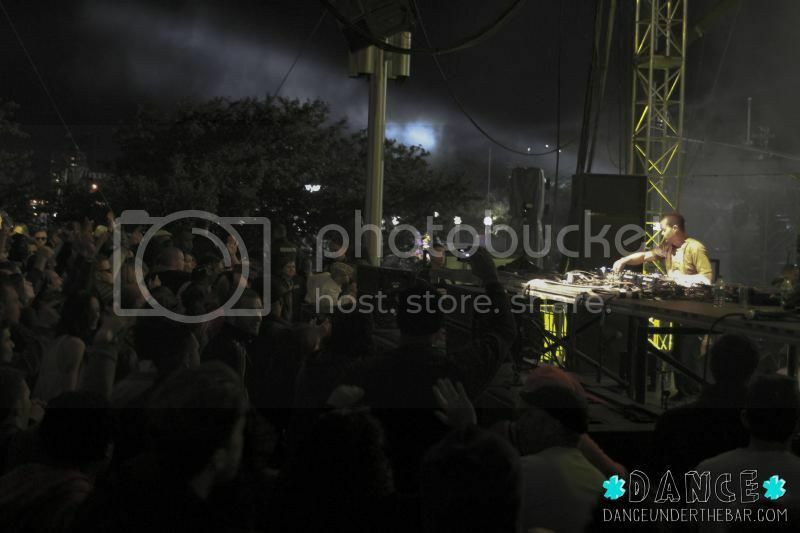 His set was classic house peppered with breaks and some original tracks. 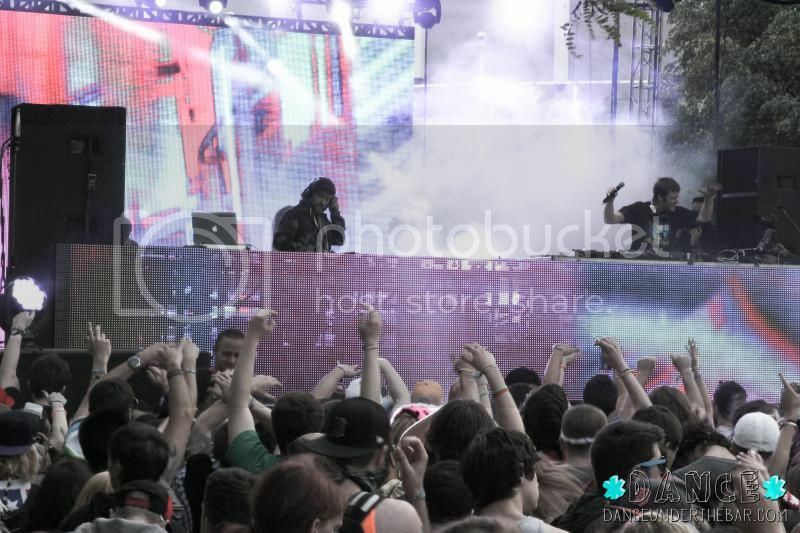 We left Paco at the Beatport stage to rush off to Electric Forest for Noisia. I didn't snap any photos - which could mean good or bad things for how I liked the set. In this case it was kind of in the middle. He certainly didn't blow me away with his mixing or stage theatrics. We heard all of the Pittsburgh crew was at Terrence Parker on the Made in Detroit stage. The thing about Terrernce is that he scratches a ton and his cuts are honestly fierce. Him and the dude cutting in A Tribe Called Red (see Monday post) were the only DJs I heard with cuts all festival. I took a ton of photos of Terrence so be sure to click on the "see all photos link" to check them out. After staying to the end for Terrence we checked out a minute of Richie Hawtin (super minimal - super repetitive) on the main stage, and proceeded over to Beatport for Moby. I had been hyping the Moby set up after having seen him two years ago at Electric Zoo - where he played an incredible set of undiscovered big-room house and beach anthems. Unfortunately when we got to beatport he was playing B side moombahton remixes and trap. 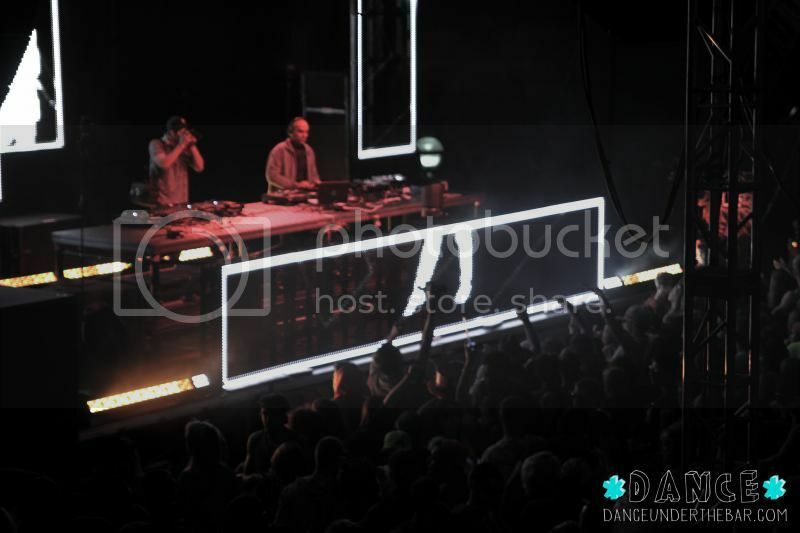 This is a common theme at DEMF, where only the strongest willed DJs avoided the trap.